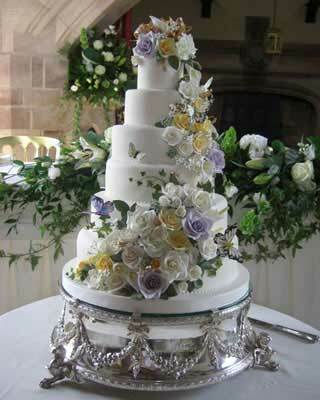 Sheila and Sarah Hitchon are an experienced mother and daughter team of wedding cake specialists in Ledbury, close to the borders of Herefordshire and Worcestershire. Together they create beautifully decorated wedding cakes and special occasion cakes to suit modern, contemporary and classical tastes. Special Ice wedding and celebration cakes are made and iced at their dedicated Herefordshire farmhouse kitchen which was recently awarded the prestigious 5 Star Food Hygiene Rating by Herefordshire Council. Offering a delicious range of delicious cakes including tiered wedding cakes, birthday cakes, christening cakes and special cakes for corporate events Sheila and Sarah are able to create intricate and delicate sugar flowers, lace work and piping as well as creating smooth contemporary modern style cakes with gorgeous fresh flowers. Each cake is individual and Sarah and Sheila offer appointments to discuss your ideas as well as sample some of the flavours and fillings they make. Please call or email us to discuss your wedding cake ideas and plans.